Manhattan District Attorney Cyrus R. Vance, Jr., today announced the trial conviction of PEDRO HERNANDEZ, 56, for kidnapping and murdering six-year-old Etan Patz, who disappeared while walking to a school bus stop in 1979. 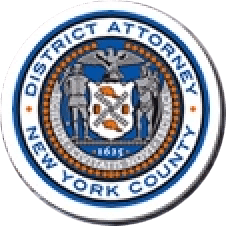 The defendant was convicted by a New York State Supreme Court jury of one count each of Murder in the Second Degree and Kidnapping in the First Degree. HERNANDEZ is expected to be sentenced on February 28, 2017. “The disappearance of Etan Patz haunted families in New York and across the country for nearly four decades,” said District Attorney Vance. “Bringing closure on Etan’s disappearance to the Patz family has also been among my highest priorities since I took office as District Attorney. Today, a jury affirmed beyond all lasting doubt that Pedro Hernandez kidnapped and killed the missing child in SoHo, New York, on May 25, 1979. “Etan’s legacy will endure through his family’s long history of advocacy on behalf of missing children. However, it is my hope that today’s verdict provides the Patz family with the closure they so desperately deserve. Thanks to all of those who never forgot about Etan or relented in their efforts to find his killer, this case will no longer be remembered as one of the City’s oldest and most painful unsolved crimes. As proven at trial, on the morning of May 25, 1979, HERNANDEZ, who was employed as a clerk at a bodega on the corner of West Broadway and Prince Street, lured Etan Patz into the basement of the convenience store with the promise of a soda as the six-year-old boy walked from his family’s apartment in SoHo to his nearby school bus stop. Inside the basement, HERNANDEZ choked the child until he went limp, then placed the boy’s body in a plastic garbage bag that he concealed inside a cardboard box. The defendant then carried the box containing Etan’s body out of the basement and left it with the trash in the alley of a nearby building on Thompson Street, a little more than one block away. Assistant District Attorneys Joan Illuzzi, Special Counsel to the District Attorney, Joel Seidemann, Senior Trial Counsel, and James Vinocur handled the prosecution of the case, with the assistance of Investigative Analyst Sarah Doelger, and under the supervision of Executive Assistant District Attorney John Irwin, Chief of the Trial Division. Assistant District Attorneys Armand Durastanti, Erin Tierney, Virginia Nguyen, Harriet Galvin, and Dan M. Rather also assisted with the case. Senior Rackets Investigators Siobhan Berry and Thomas Lombardo, Director of Library Services Mary Matuszak, Reference Librarian Anne LeCard, Engineering Unit Supervisor Marie Venticinque, Media Services Techician Karen Daniel, Intelligence Analyst Victor Nunez, and Investigative Analyst Julia Patten provided additional assistance with the case. Former Assistant District Attorneys Penelope Brady and Ann Prunty, former Paralegals Angelica Hoyos and Dennis Xie, and former Detective Robert Mooney also assisted with the case. District Attorney Vance thanked the following agencies and individuals for their assistance with the investigation: the NYPD, including the Missing Persons Squad and Major Case Squad, and in particular, Police Commissioner O’Neill, as well as former Police Commissioners William Bratton and Ray Kelly, Chief of Detectives Robert Boyce, Chief James Luongo, Lieutenant Christopher Zimmerman, Detective Ralph Sherlock, Detective David Ramirez, and former Chief of Detectives Phil Pulaski; the Federal Bureau of Investigation, and in particular, Tara Semos; and the Camden County Prosecutor’s Office, and in particular, Captain Patricia Taulane, Sergeant Eric Wren, Detective Lance Saunders, and Detective Miguel Rubert.